Flip two coins. If both are heads, this attack does 60 more damage. If one is tails, this attack does nothing. Discard all Energy attached to Suicune Lv.X.If this attack defeats the opponent take two Prize Cards instead of one. 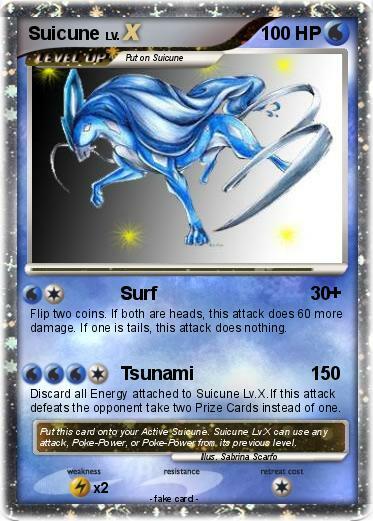 Comments : Put this card onto your Active Suicune. Suicune Lv.X can use any attack, Poke-Power, or Poke-Power from its previous level.